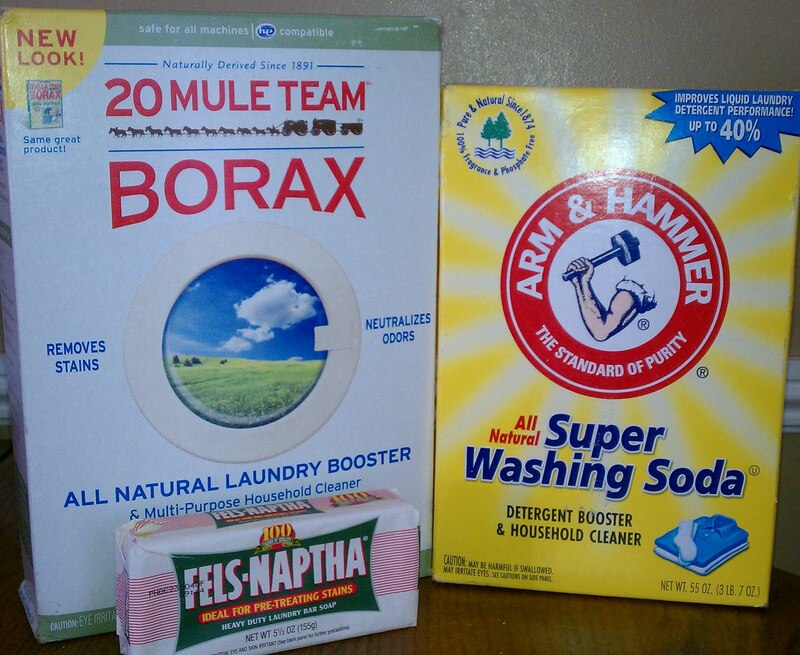 I make my own laundry detergent. This recipe is usually enough for 128 loads..
but it depends on how heavily soiled my husbands work clothes are. Want to make your own as well? and heat, stirring often, until the soap melts. 3. 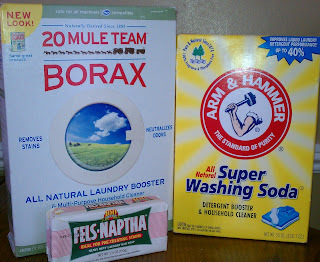 Add the soda and borax, stir until dissolved then remove from heat. 4. Pour 4 gallons of hot water into the bucket. 5. Pour the soap mixture into the bucket and stir. 6. Cover and let the detergent sit for 24 hours. It will become like gel. 7. Stir the detergent to break up the gel. 8. Stir the detergent each time you use it. 1 cup for a large one. This works as a fabric softener. and the vinegar into the cup where you pour the fabric softener. EDIT: This recipe works well if you have soft water. If, however, you have hard water, you will have to add either vinegar or calgon to each wash and rinse cycle. I make powder version of detergent with same recipe, plus I add a cup of OXI Clean for boost. Mix it all together in a blender and use 3 Tbsp per large load. Cleans better than Tide and my clothes smell as if they were line dried outside in tropical breeze. I love it!